Purchase Fr. Cedric's 22 books for $165. (one copy of each book) 1/2 Price! All books must be purchased together. These books are full of Father's best stories, humor and his personal experiences. Father's spirituality is very relatable and the wisdom and truths found in these books are timeless. You will treasure this collection and want to share these books with your family and friends. Each book has a different theme. Every book proclaims Jesus, the Holy Spirit and God's love for you personally. These books are easy to read, but not an easy read. Enter each book's item number in the "Additional Miscellaneous Instructions" box on the Billing and Shipping page to tell us which books you have selected. This book is available as an ebook on Kindle for $9.99! Prayer is instinctual. We all have the capacity to pray. Prayer is the primary way we connect with God. Prayer is the main way to develop a personal relationship with God. When we pray we abide in Jesus and can have fruitful lives. 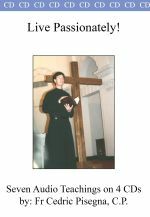 The themes in this book will help renew your prayer life. You will read about many varieties of prayer including how Jesus himself prayed. Expect a new ability to pray because of this book. ***NEW 230 page book Published Jan. 10, 2019! Windows are openings that lead us to new opportunities. Wisdom is understanding that comes from life experience as well as revelation given directly from God. This book will not only teach you about wisdom but help you to receive understanding and insight. Wisdom is a stance towards life and a way of living that will lead you to abundance and happiness. Wisdom protects her children and bestows upon them a crown of blessings. Learn about wisdom, get wisdom and live forever! This book is available as an ebook on Kindle or Nook for $9.99! You have received a personal call from the Son of God to follow him. Discipleship means getting to know Jesus, being transformed by him and reaching out to others in service. Authentic discipleship means living a purposeful, passionate life now. As we follow Jesus on the way we have a destination and goal in mind: Heaven itself! Discipleship is a challenging lifestyle that will cost us everything. But following Jesus is the way to everlasting life. Being a disciple is a life full of significance that will bear lasting fruit. We are more than conquerors because not only will we make it through this life and achieve faith’s goal, our salvation, but we will take others with us and be transformed in the process. You are called and chosen. Jesus says to you: Come, Follow Me! Life is full of challenges. Your challenge could be physical, emotional, relational or spiritual. You may be facing old age or your own inevitable death. Everyone has something to challenge them. It is in the dark times that character is developed. The same hammer that shatters glass also forges steel. Adversity elevates. Problems promote. Darkness develops. While challenges break many they can make you! God has created you to face life and be resilient. The hardships you encounter can actually lift you to greater heights. Champions are made in the “off season.” Prepare well and face any adversity. No matter what, you are destined to be a winner in life! This book will help you to realize and receive God's love for you personally. God is so in love with you he sent his only Son into the world just for you. You are loved sacrificially, passionately and unconditionally. Because we are loved we can come to a whole new healthy appreciation of self. Through God’s love we can embrace who we are as fully human. There is no need to reject yourself because of your flaws and scars. Rather, in God’s love we realize we are his masterpiece and very good. Because we are loved we can grow and Live with Passion! The resurrection of Jesus was the momentous event in history. We believe we will rise in Christ on the last day. But there is more! Our Church teaches that we already participate in his resurrection. The resurrection of Jesus can revolutionize your life now. This book will change and influence the way you live. St. Paul wanted to know Jesus and the power flowing from his resurrection. (Phil. 3:10) You can know this life-energizing power too. Our resurrection isn’t just for the hereafter. Rising in Christ is for the here and now. Experience resurrection today! The ability to choose is one of the greatest gifts from God to us. Choice is the chisel we use to sculpt our lives. Who we are today is the result of yesterday's decisions. Who we will be is a result of how we live today. God has given us free will. We are responsible for our choices. Our choices determine how well we live now and will determine our destiny. Make your life a masterpiece. Choose life and live! This is a deeply spiritual book. Discipleship in a nutshell is walking with and following Jesus. The word "disciple" means "learner." When we spend time with Jesus, we learn from him and can live the way he lived. How did Jesus walk? Jesus spent major time nurturing his relationship with God. He grew in obedience and character. He developed over time and realized his potential. He reached out to people and made a difference that still impacts multitudes today. The notion of walking implies movement and progression. It is not just the destination, but the journey that forges character and facilitates our growth. 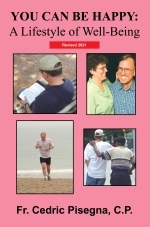 This book will inspire, encourage, and teach you how to walk with God every day. Move forward and live with passion! What season are you in right now? This book will help you to identify this. We all go through varying seasons in our life. It is the sum of our seasons that make us who we are. This book will help you learn from past seasons, identify the one you are now in and move to a more gracious season in your life. Significant life issues will be discussed. God wants to protect and "keep" you. This book will teach you about God's favor in your life. You won't necessarily be kept "from" difficulites, but will certainly be kept "in" them. Learn about God's wonderful providence in your life. 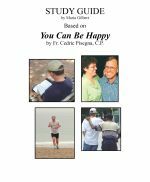 "You Can Be Happy: A Lifestyle of Well Being" This book will help you to find and experience true, lasting happiness. Don't live as the world does, live the deeper, significant life. This is a very popular book. Experience God touching you through this important book. We were made to touch and be touched. God wants to touch your life. When he touches us, everything changes for the good. 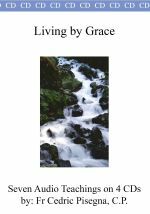 Reading this book will help mediate God's gracious touch. You will be taught about: The person of Jesus, the Bible, Prayer, Mercy, Your Suffering, The Holy Spirit, and How God touches us to realize our potential. Don't just live, live with Passion. Through the touch of God, become all that you can be! This book is designed and written for young people, (13-40 years old) although the truths inside are for all ages. Youth are constantly exposed to conflicting ideas, viewpoints and philosophies. Fr. Cedric teaches that a relationship with Jesus holds the key to the meaning and contentment we all crave. Fr. Cedric began his ministry in 1981 by reaching out to youth, and young people are still near and dear to his heart. The stories in this book will touch all ages. Updated in 2017! Includes discussion about the new Missal, Creed and liturgy. Eucharist, in varying forms, has been celebrated by the Christian community for nearly two thousand years. This sacrament is the "font and summit" of a Christian's life. Mass is so vitally important, Pope John Paul II named 2004-2005 the "Year of the Eucharist." He wanted to foster a new "amazement" in the hearts of the faithful towards this divine mystery. 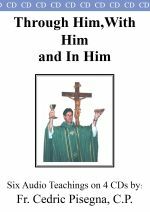 This book is designed to inspire and to help you get more out of each Mass that you celebrate. Revised and updated in 2017! This is a book about golf but also about God and "real life." It was written for golfers and non-golfers alike. Fr. Cedric has played golf for 47 years. Reading this book will help you to: Discover the champion in you, be renewed in your mind, learn to pray as you play, face your fears and live in victory, fulfill your purpose and live with integrity. This book will put you in touch with the fundamentals of the game and of life itself. Golf and God makes a great gift for all who love the game of golf. This book is Fr. Cedric's best seller. It will address the two most basic questions every human has: "What happens when we die?" and "Is there a God or not?" Fr. Cedric shares his two near-death experiences. You will learn what the Catholic Church teaches about the end times and the afterlife. You will read in detail about the death experience and what you can expect at the moment of your death. You will sense new purpose and meaning for your life as Fr. Cedric explores the meaning of life on earth now. You will also have an opportunity surrender to God and make sure you are right with God. This is not a book about grieving, but about the death experience itself. Updated in 2017! With God's help, U-Turns are permitted. You don't have to stay stuck in any area or issue in your life. Fr. Cedric discusses issues and sins such as fear, anger, lust, addictions and how to grow. By the grace of God go forward! As you surrender to God's grace and cooperate with God, you will discover that you can change more than you ever dreamed! Updated in 2017! Anxiety and regret are enemies of the believer's soul. Don't let the past and the future rob you of the joy of today. 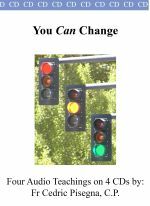 This book will help you to slow down and live fully. Relax, practice the presence of God and take it one day at a time. It is God's will to give you the kingdom. It is time to enter in! Updated in 2017! 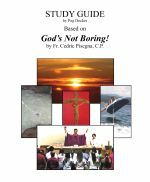 This is Father Cedric's first book and displays much of theology about suffering and salvation. Discover the purpose and meaning of your sufferings. Understand and receive salvation in Jesus! This book is available as an ebook on Kindle and Nook for $9.99! This study guide to Live Passionately! was created by Terry Matthews. Terry edited many of Fr. Cedric's books. Her questions will help you to understand salvation and suffering, the two main themes of Live Passionately! Written by many women in Lake Charles, LA. who studied my book. Their questions were garnered from their studies. Excellent insights. Perfect for study groups. The study guide to Thy Kingdom Come! was created by Teresa Matthews. 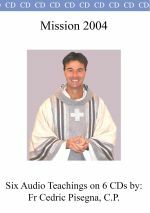 Terry is the editor of many of Fr. Cedric's books. She posits great questions in this guide. Some of the themes have to do with prayer, reading the Bible, fret and regret, and how to experience peace. This study guide contains questions created by my former book editor Terry Matthews. 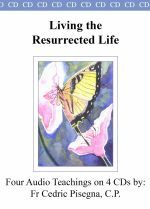 These questions will help you to concentrate on the issues this book raises such as: How you feel about your own death and how to live your life to the full now. Written by Peg Decker who is my current editor. Excellent insights. Perfect for study groups. Written by Maria Gilbert who led a group that studied my books. Excellent insights. Perfect for study groups. 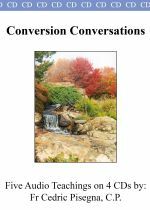 Written by Janice Carleton who leads the group "God's Girls" that study my books. Excellent insights. Perfect for study groups. 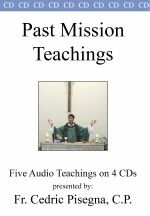 First Booklet is free. This is for multiple copies. Please indicate which booklet(s) you would like in the comments box.